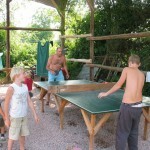 Camping Auvergne Allier - Camping in the Auvergne allier with a swimming pool, bar and lots to do. 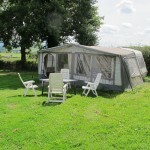 Rental caravans and bungalows are available and for sure nice green camping pitches. 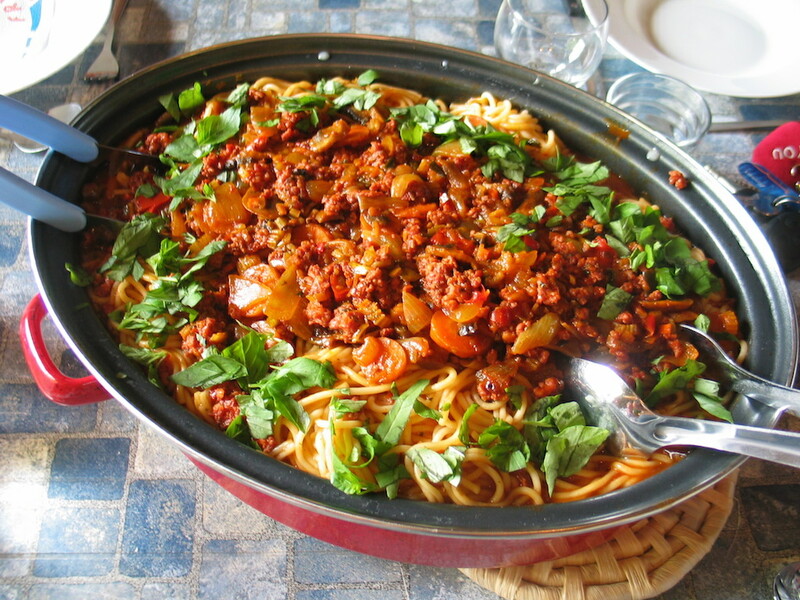 Find our camping near Lapalisse. Free wifi Internet on the camping! 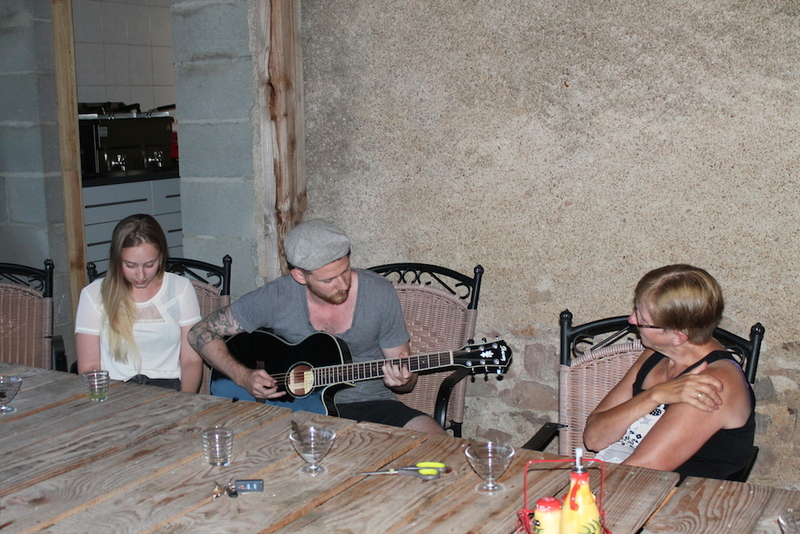 Our camping provides you with a free wifi Internet connection in our bar, at the swimming pool, in one of our rental caravans, one of the bungalows or just at your own spot on our campsite. You are also able to use our own computer in the bar for free. 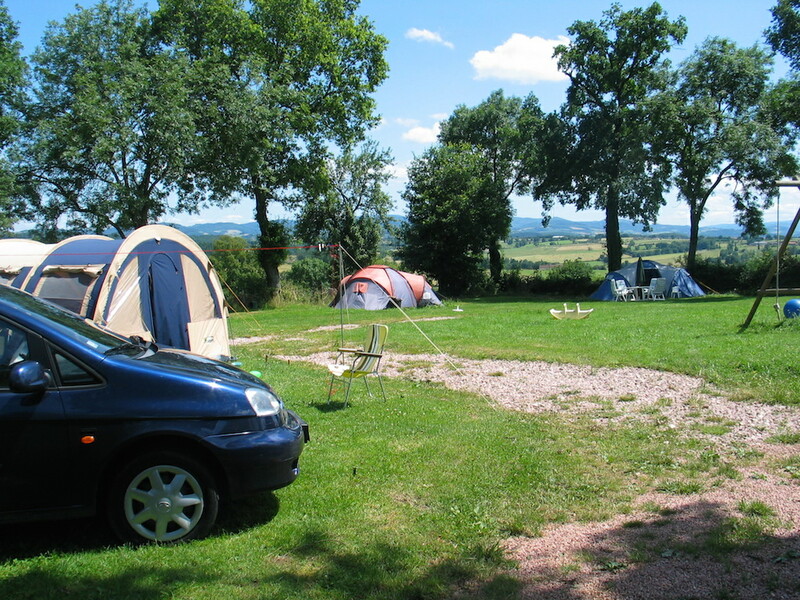 Our small campsite is located in the center of France in the region called the Auvergne. 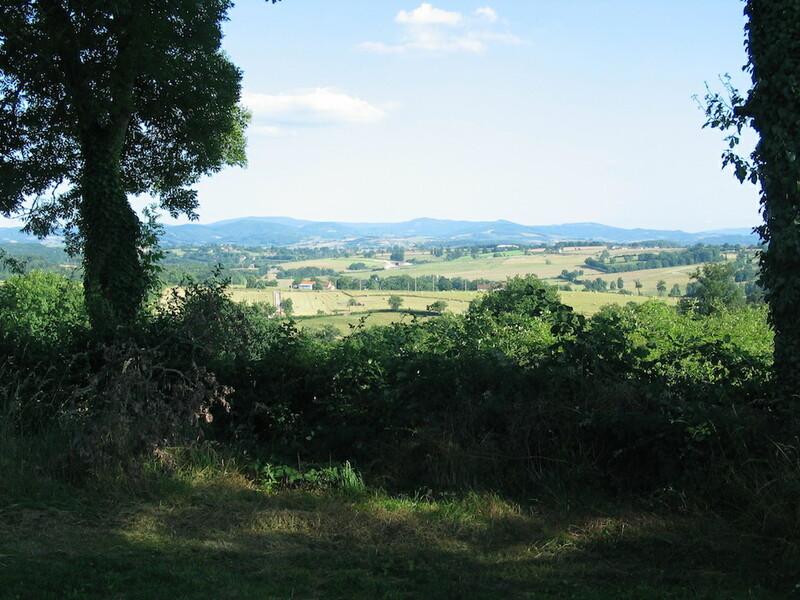 The region of the Auvergne contains 4 counties of which we are located in the Allier. 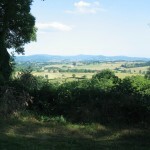 The Allier is one of those counties where it is still calm with a beautiful view at the mountains, the ancient forests. 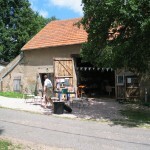 The cows are walking in the fields all around the campsite enjoying the sunny day’s in this part of France. 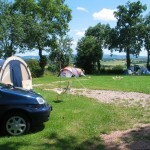 From our campsite it is also easily possible to visit the larger cities like Clermont-Ferrand or the larger towns like Vichy, Roanne and Moulins. 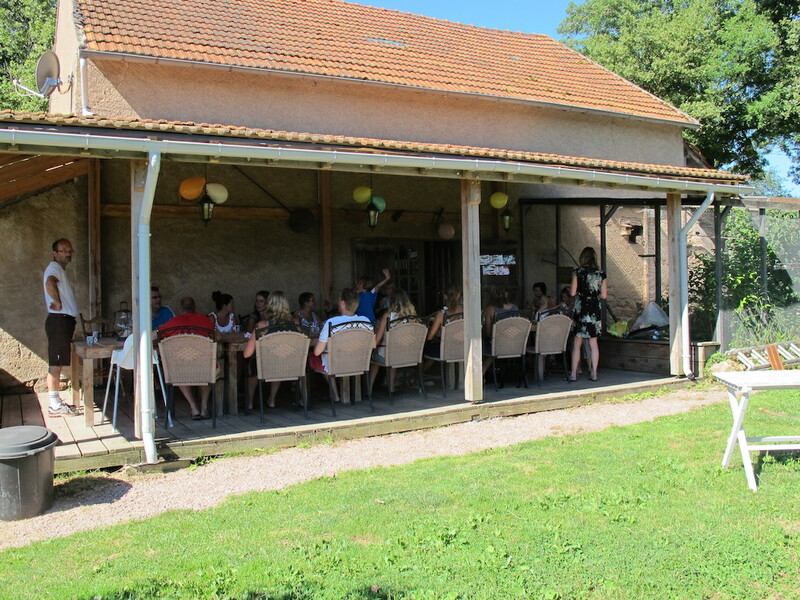 Our campsite is located on the top of a hill, 2 kilometers away from our small village called Saint Prix in the suburb Beaulieu. When you enter Beaulieu you can’t miss our small chapel named the “Notre Dame de Beaulieu”. 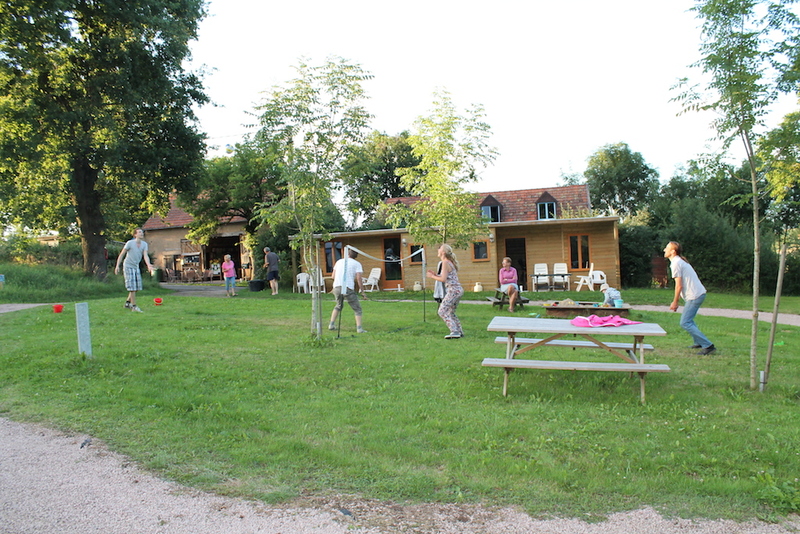 Just before the chapel you make a turn to the left in to a small country road and after a 100 meters you will find our campsite with the large barn, the toilet building, swimming pool on your left and the campsite on your right. 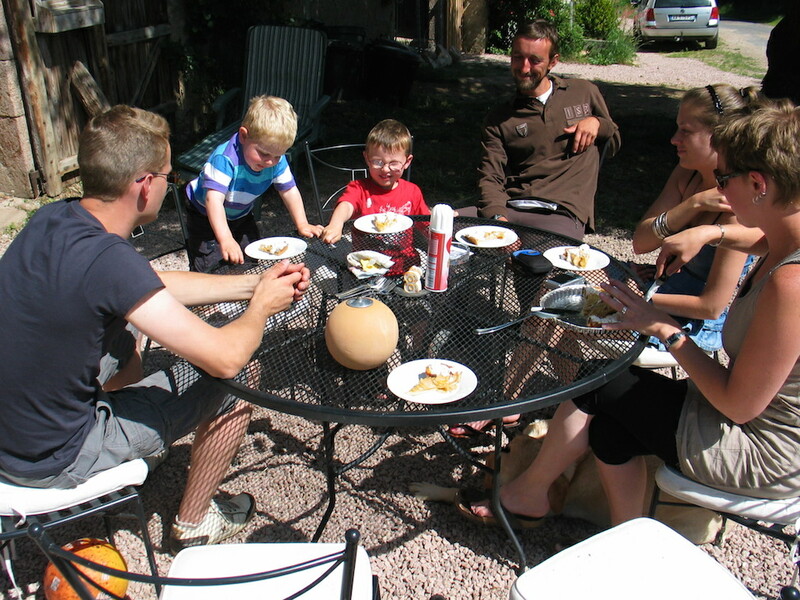 At our campsite we do not demand you to make a reservation but we do advice you to do so. 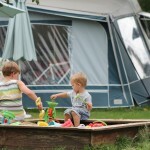 By this way you are sure we have a spot or campsite accommodation available for you when you arrive at the campsite. 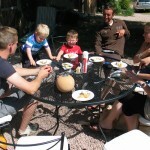 For those who make a early booking on our campsite we offer a discount of 10% on the booking price. To obtain the discount you have to make a reservation 6 weeks in advance of your arrival and pay the total amount of your booking 6 weeks in advance. Read more about this Early discount here. from € 12,50 per night. 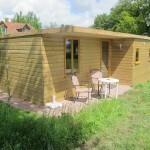 from € 250,- per week. from € 300,- per week. 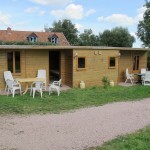 from € 350,- per week. 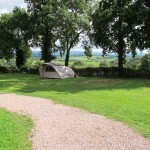 On our campsite we have different rental opportunities for you as guest. 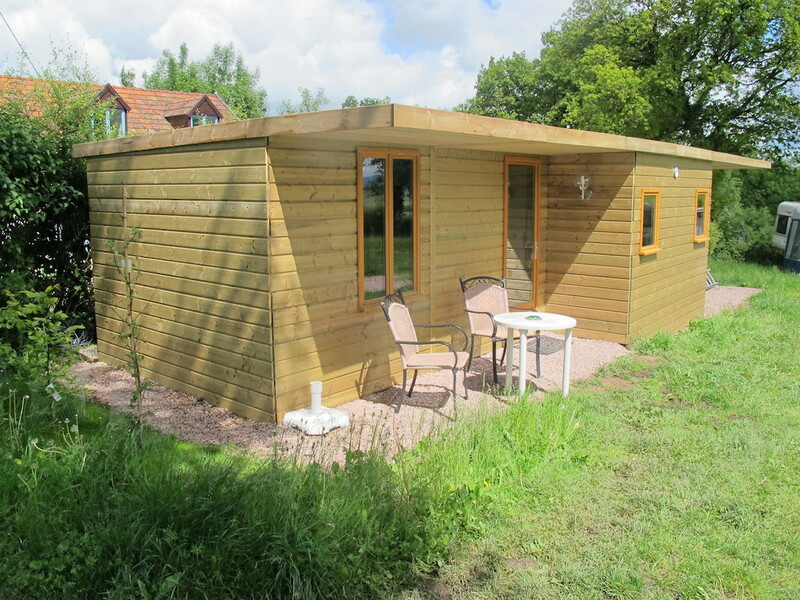 You can rent our 4 pers caravan or one of the two 5 pers rental caravans besides this we have two 5 pers small bungalows we call “sleeping cabins” and besides this we have 6 camping pitches for you. 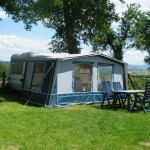 On these pitches you are most welcome with your own caravan, tent or mobile home. 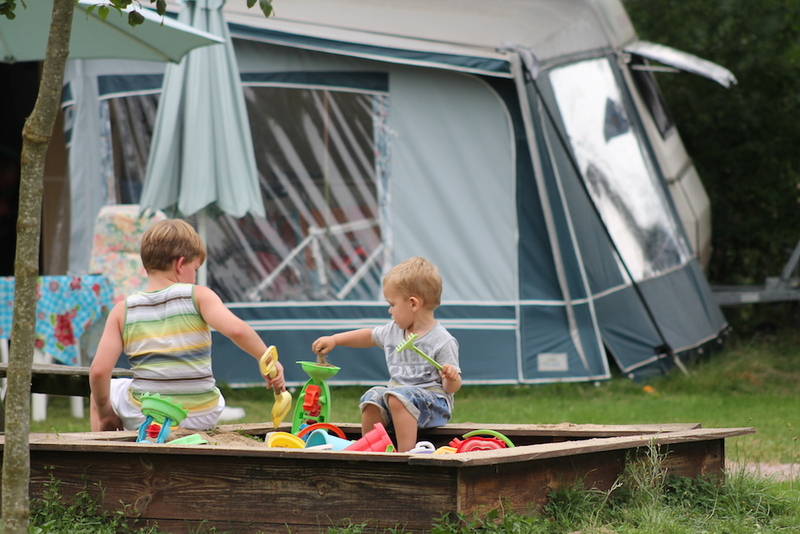 In the center of the campsite terrain we have a sandpit for the children and you can use our badminton net or pick nick table during your stay. In the corner of the terrain you will find a large shelter where have setup the ping pong table and have a small archery range. 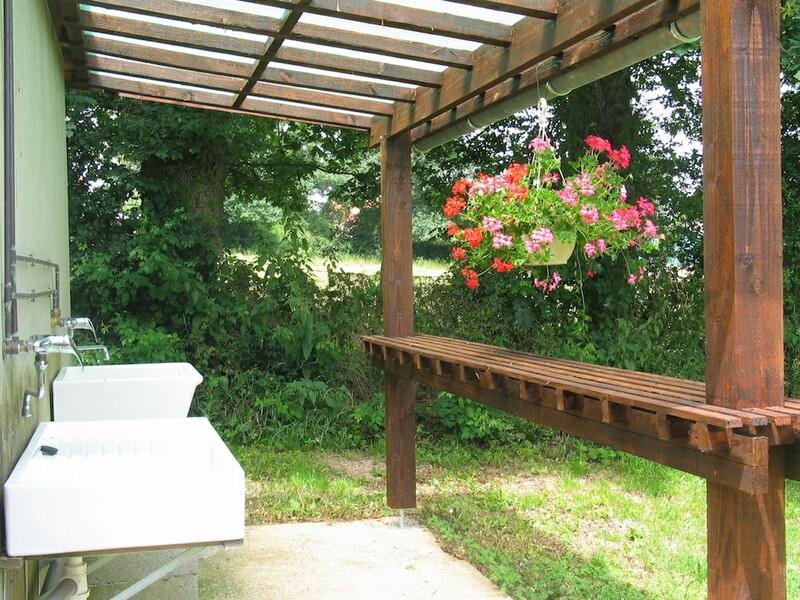 Here you will also find clotheslines that you and other guests can use. 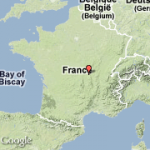 Have a look at the aerial view of our camping on Google Maps. 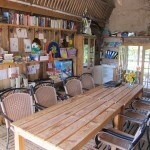 The large barn on the campsite is our “home” meeting area. 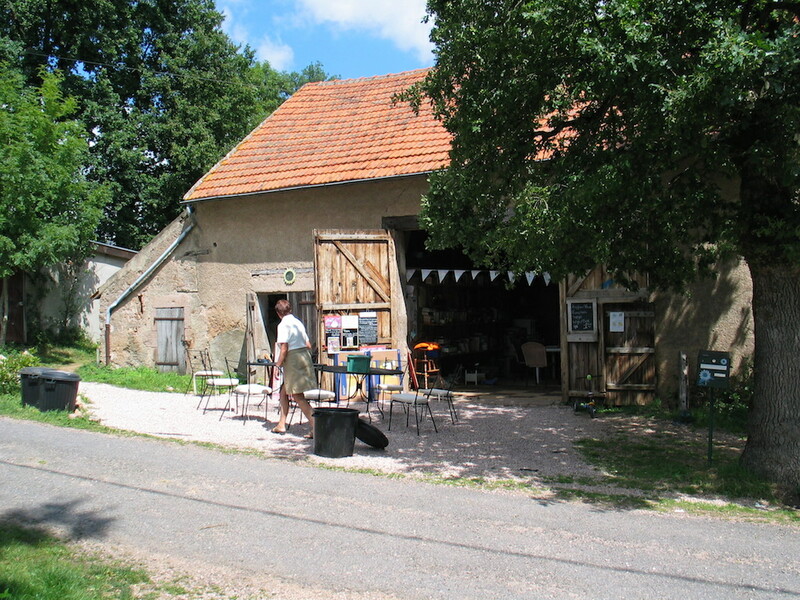 In the barn you will find many different toy’s for the children to play with. There is a computer to use and you can play darts. On the first floor it is possible to play a game of billiards on the billiard table or a game of table football. Besides this the children will also find a large bugged with Lego to play with. 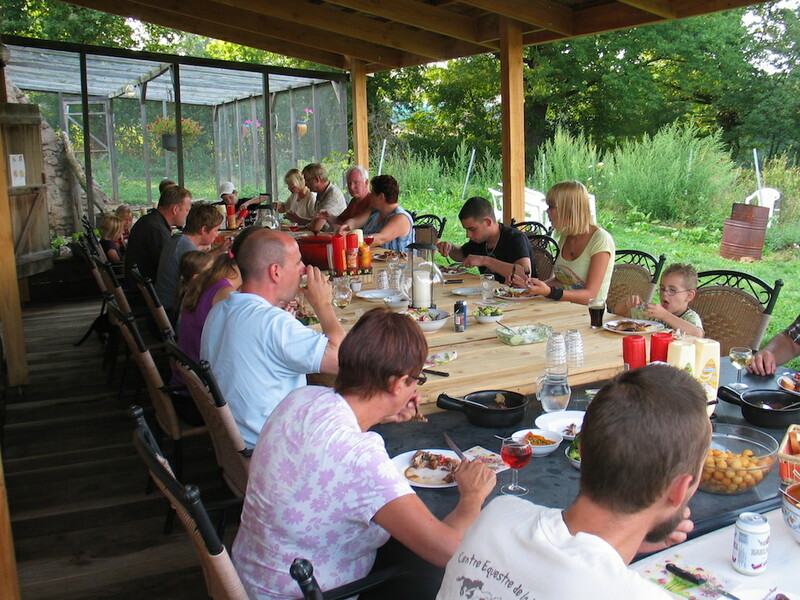 On the large doors of the camping barn you will find different kinds of tourism information and activities in the region that we change daily. 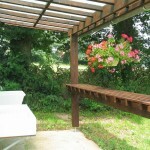 It is a easy and nice spot for many guests where you can just relax during your stay. 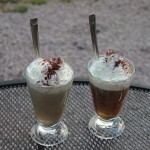 Logically in the barn we also serve many different drinks and small appetizers that you can order. But if you bring your own drinks it is not a problem at all. Just see it as the campsite living room. 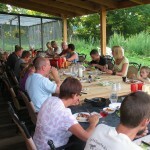 Every evening we serve a nice dinner at the terrace in the back of the barn. 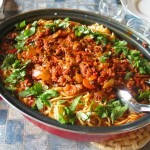 For many years most of the guests are joining in during these dinners where we eat, drink, talk and have a lot of fun. When it is time for bed for the children most parents return to the barn to play a last card game, darts, talk or just read a book. 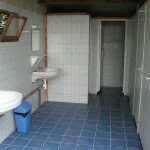 As campers our selfs we know how important a nice, clean and relatively large toilet building is. 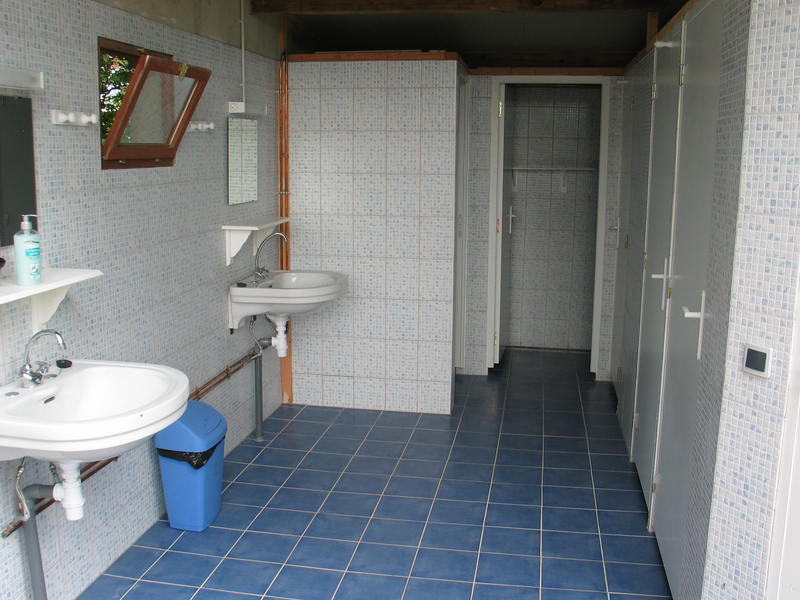 Our toilet building offers you 2 large showers, 2 large sinks, a “urinoir” and two toilets. Outside at the back of the toilet building you will find also 2 large sinks where you can do your dish washing or wash your clothing. As we find it important the whole toilet building offers free hot water to all guests. This hot water is coming from a 200 Liter boiler, normally more then enough. At the camping we also have a washing machine that you can use at a small fee and hang it in the open air to dry under the large shelter on the campsite. If you wish we also have a dryer that you can use for this. 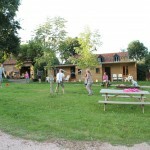 In the backyard of the campsite we offer a nice place for many of the guests to have some fun or relax. For the children we have 2 football goals and a jeu de boule green. 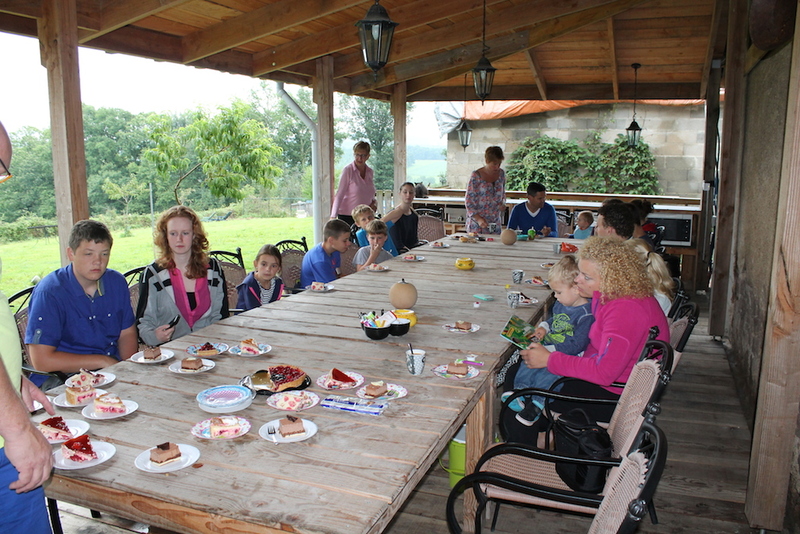 For the parents and others there is a large terrace to take a seat on or you can use one of the swimming pool chairs. To cool down during the warm days you can use our swimming pool that is opened from 9.00 to 18.00. During the evening it is closed for cleaning that is very important to us. Also this is the area where we have a lot of animals walking around. We have 2 lovely dogs who like to hang out or sleep with you. Cats who love to sleep as well when they are not hunting in the fields. 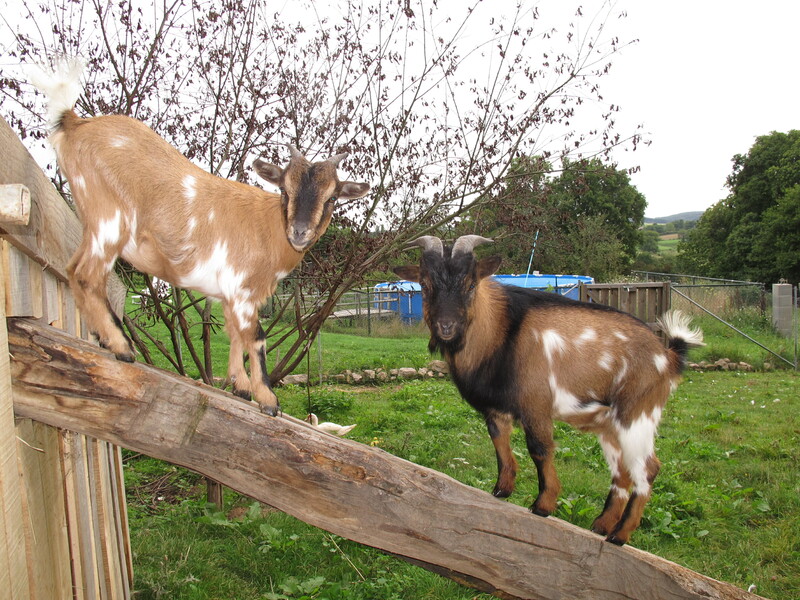 Behind fences we have chickens, ducks, birds, fish and two goats. 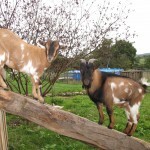 A sometime during the day we ask the children to join us to feed these animals and pick the eggs of the chickens that the children can take home. 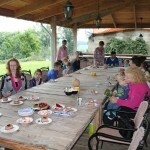 When there are more children then eggs we make a list by day to make sure every child gets a egg to take home. 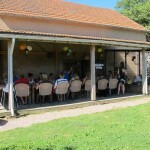 It is hour honer to receive you on our camping in the Auvergne, Allier. 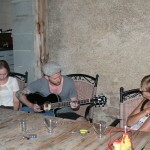 From April 1st up to 31 August we are happy to meet you on our camping. 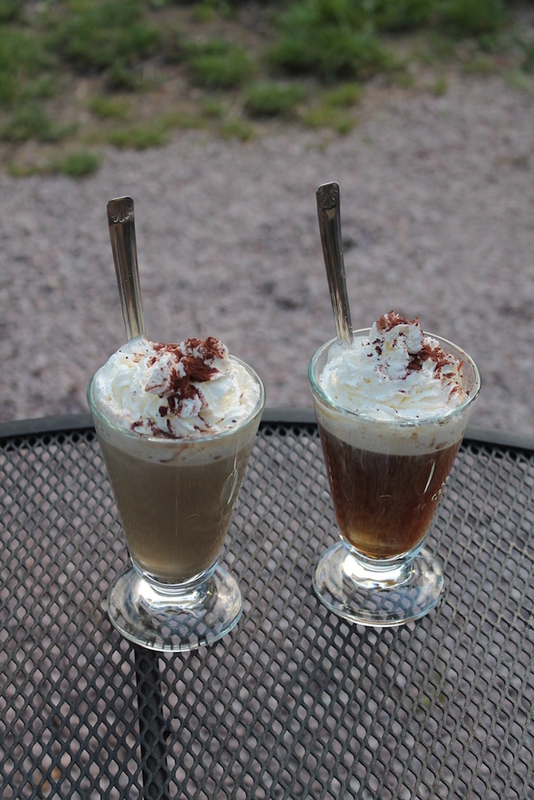 Before and after these dates it is possible to stay at our campsite but only by reservation. To make sure we have a pitch, rental caravan or bungalow available for you or have any questions please do not hesitate to contact us by e-mail or phone. Have a look at the route to our campsite here.